Cryptocurrency is currently a very popular conversation topic. That said, most people do not know what it’s about. A cryptocurrency is defined as “a digital or virtual currency that uses encryption as security”. According to cryptovest.com, a cryptocurrency is difficult to fake because of this security feature. 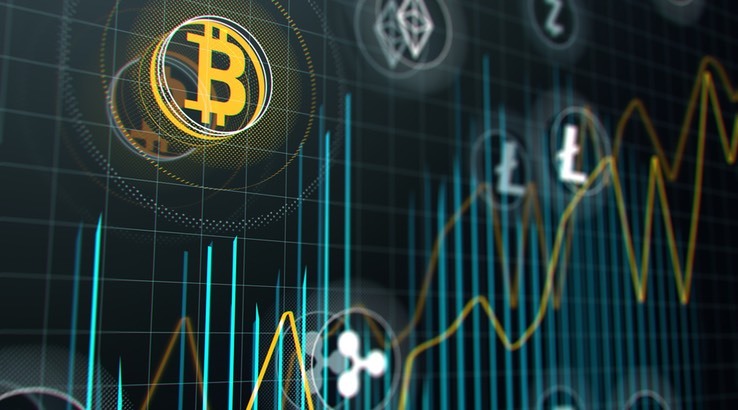 There are many cryptocurrencies with a lot of different use cases, such as payment currency, coins designed for profit sharing (security), utility tokens and more. Many start-up companies are now starting to raise funds through cryptocurrency. This is called an ICO (initial coin offering). Those who invest buy coins/tokens instead of securities/stocks of the company. These coins are cryptocurrencies in line with Bitcoin. Then they list their ICO on a cryptographic stock exchange so that the owners of these coins/coins (often called the token in English) can get USD for their coins if they do not want to be investors anymore. If there is no opportunity to switch from coins to dollars, you should be skeptical about the investment. There are also some funds that instead of fund shares provide investor/save coins/coins. The value of the coins rises (or decreases) with the value of the underlying in the fund, in the same way as the mutual fund. But the price also indicates what trust the fund manager has. A good manager can achieve higher rates on their funds than a poor manager, even though the value of the underlying is the same. The coins can be exchanged with the manager and, in some cases, at a cryptographic exchange if you no longer wish to be invested. TaaS is such a fund, where the value is based on the price of Bitcoin, Ether, and other crypto currencies. Initial Coin Offer (ICO), is a form of a share in a company that is sold in advance in the form of a coin. It resembles an IPO in the equity world. Newly started projects start an ICO to collect funds from ordinary people instead of giving away parts of the company to an investor. Those who want to start their own business today must first find investors. In addition to this, one must present a business plan, create AS and have a thorough dialogue with the bank. Imagine if the process could be easier. Let’s say you want to create your own company but lack funds for this. This is where an ICO comes in. First and foremost, your idea needs to be publicized to create interest. Then a ‘white paper’ is made, which is a type of business plan. It describes what kind of business you are going to create, the function and how your development will be. Once your white paper has been published and has been accepted, you can start selling ICO to those who want to invest in your idea. Often you can buy an ICO / coin for Ethereum or Bitcoin. In this way, you can easily get investors to invest in your idea and collect the money you need to get it. It can be difficult to know what to invest, especially with so many different ICOs on the market. New projects are still showing up. Often, more people have invested in an ICO, the price has shot, people have bought more and suddenly both the company and the ICO have disappeared without a trace, along with all the money people have invested. So, what should you look for not be fooled? Developers should not be anonymous but have 100 percent transparency about who they are. In the whitepaper, the description should clearly show what the purpose and function of their ICO is. If they use too long or unclear sentences, have they either not thought well through this or are they possibly owls in the bog. It is also a good idea to check out expert opinions on the ICO, as they are more competent to analyze the potential and risks of the project. ICOshock is a good resource for this, an ICO news outlet that regularly provides transparent reviews of new initial coin offerings. There should be a legal framework between developers and contributors, including terms and conditions laid down for ICO. The ICO should be stored in a so-called escrow wallet, which simply explained, is a wallet that is secured by multiple layers of encryption. Several keys are needed to open this wallet and one of the keys must be stored with a third party. Finally, one must consider that not everything you invest in can be gold. The recovery bitcoin has had in recent years, one cannot go out if it will happen again, so it is important to be realistic and not to end up as a debt slave, the project should not take off. Personally, I think we are in the start of the blockchain technology of what we are going to see ahead of opportunities. There are many exciting projects out there, and there will undoubtedly be more. Keep your eyes open, be careful not to be tricked and do not invest more money than you can afford to lose.